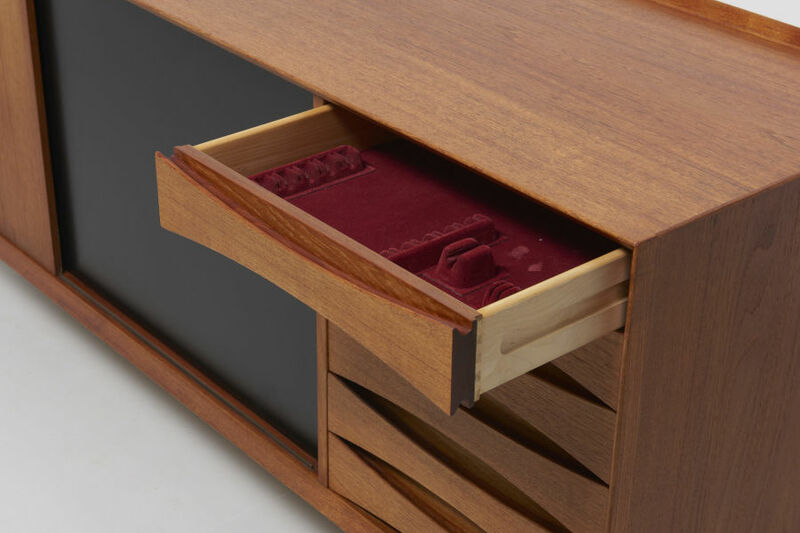 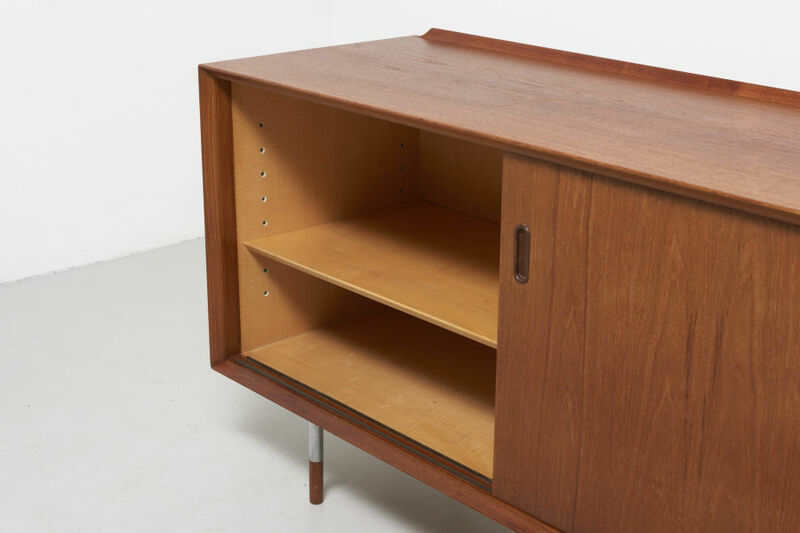 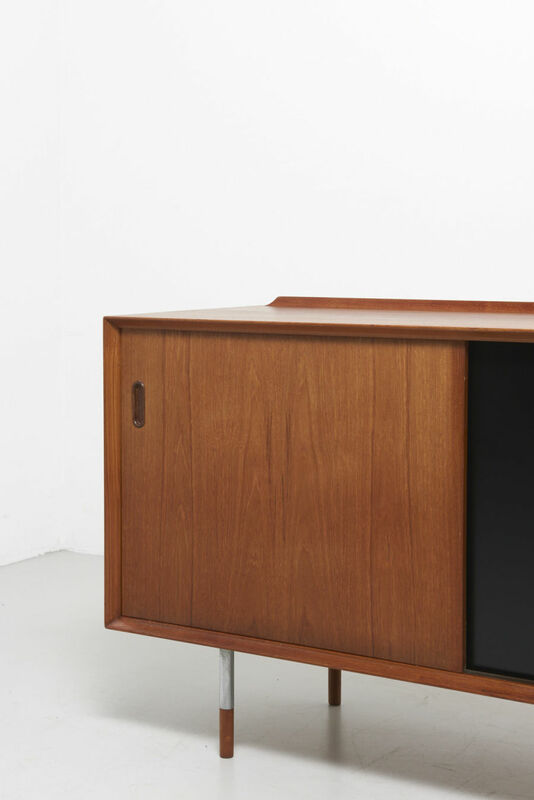 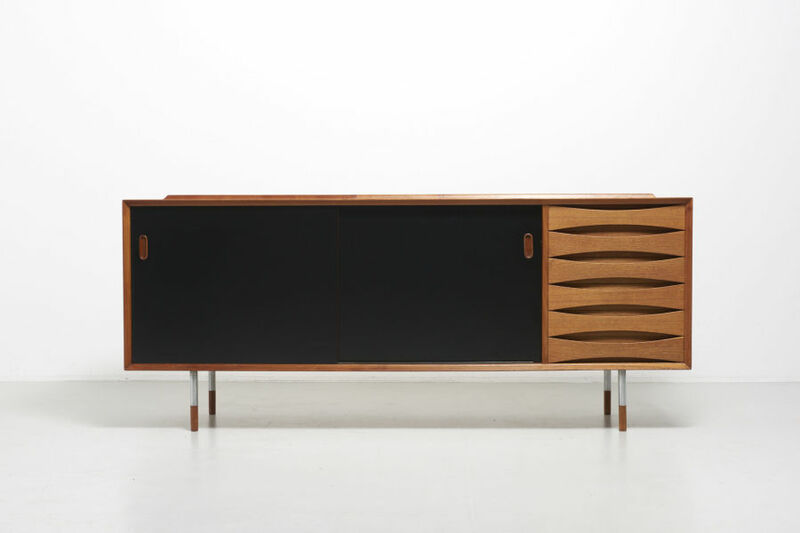 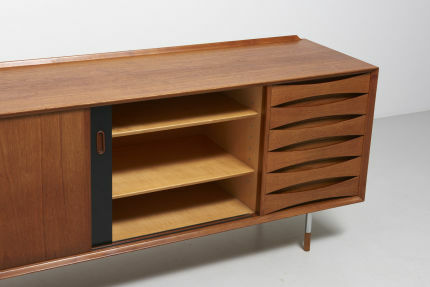 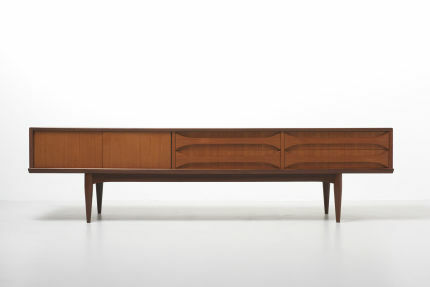 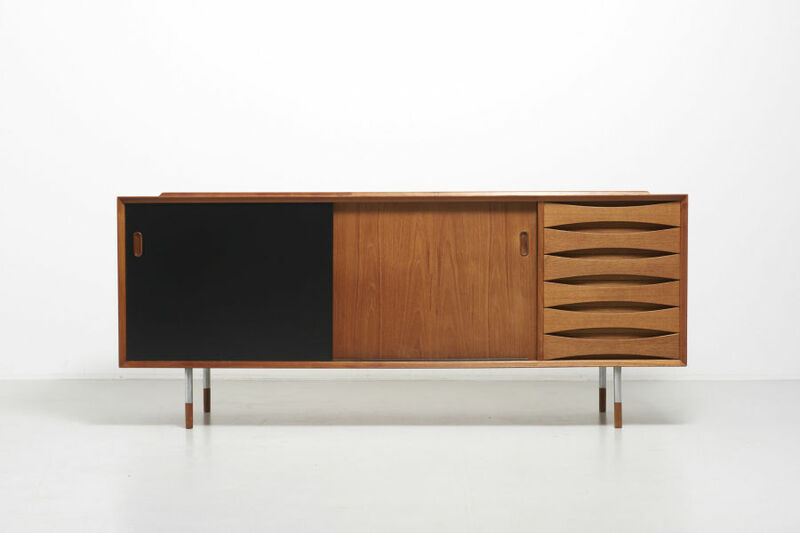 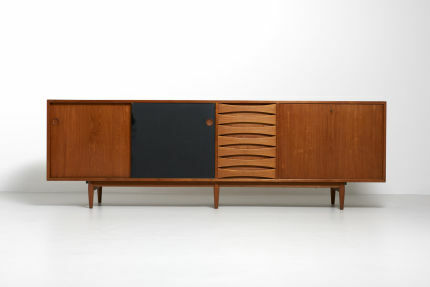 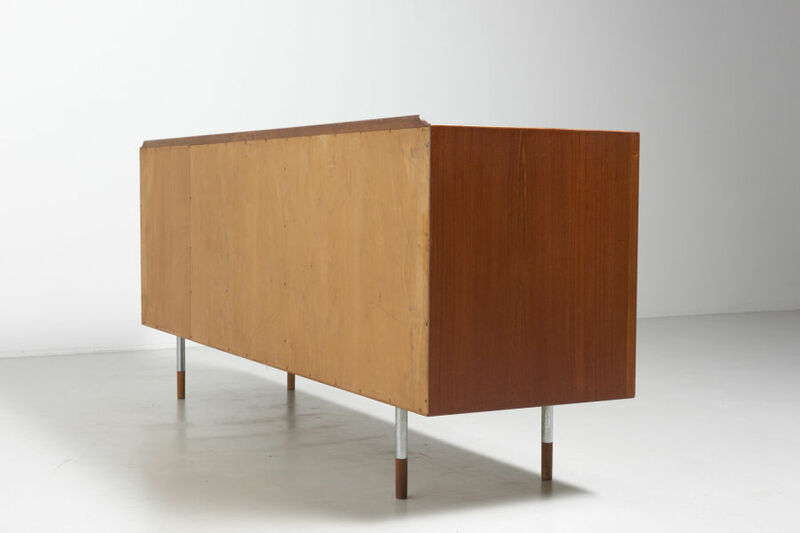 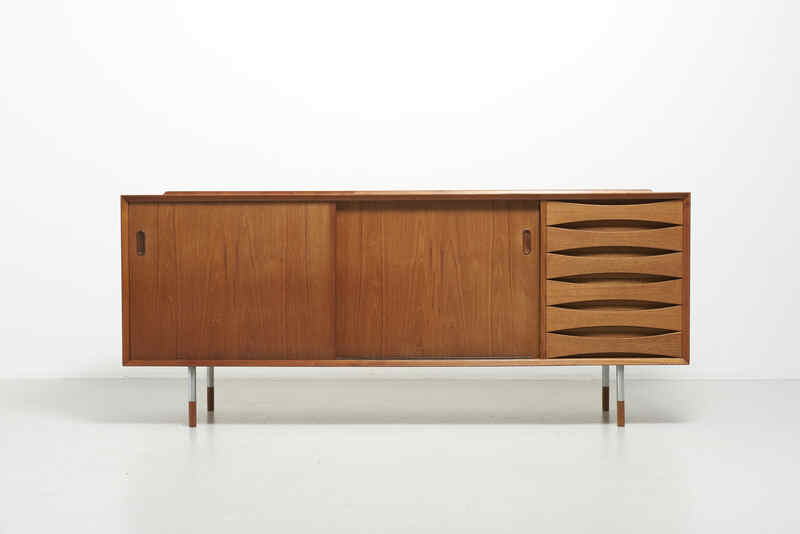 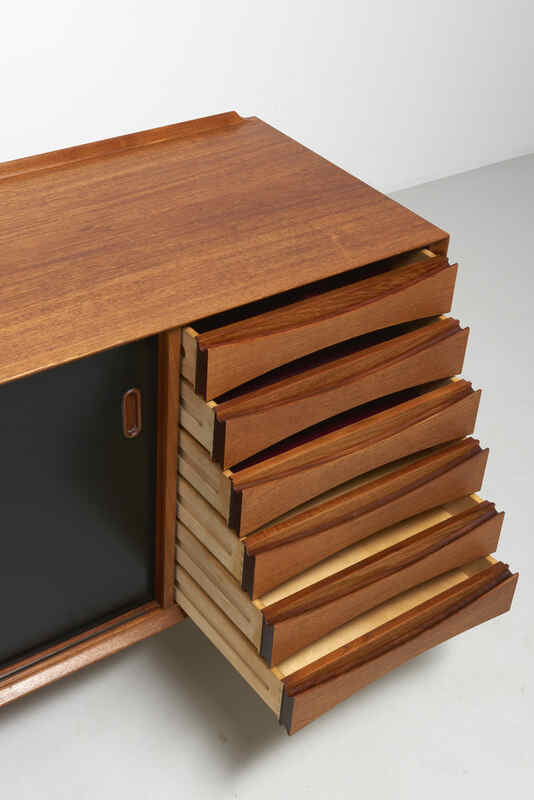 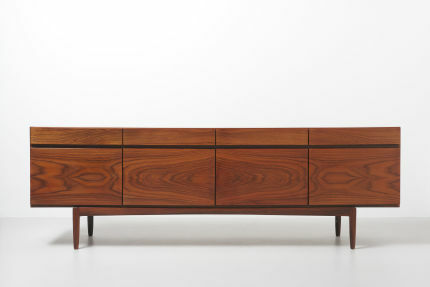 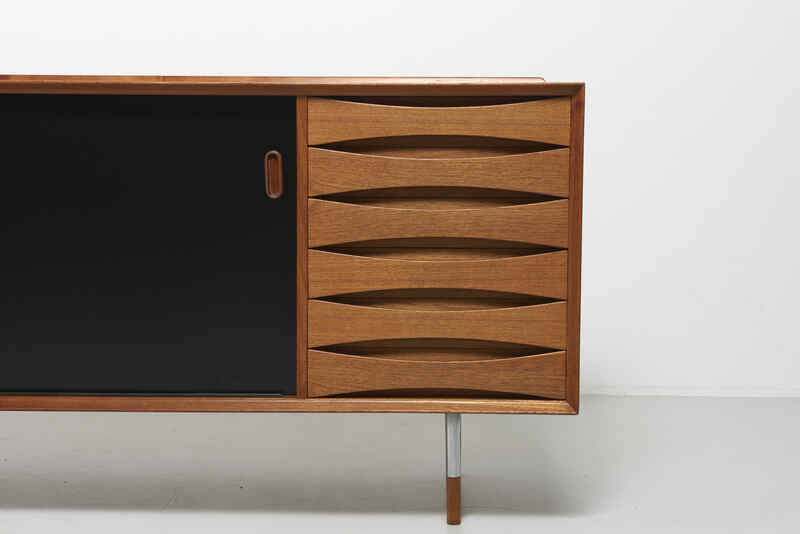 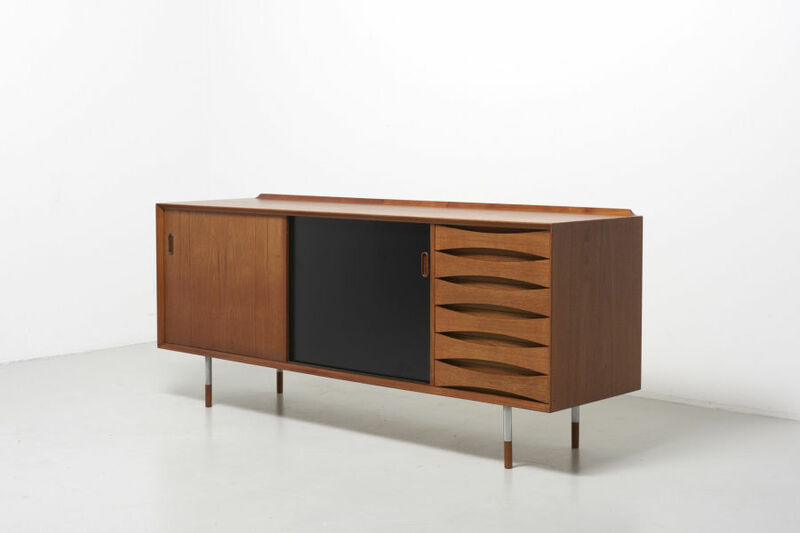 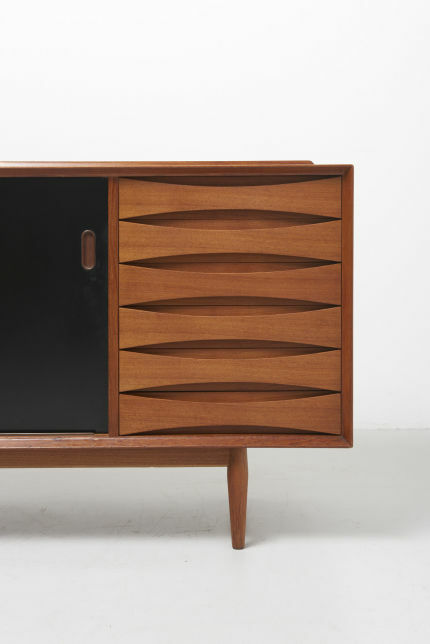 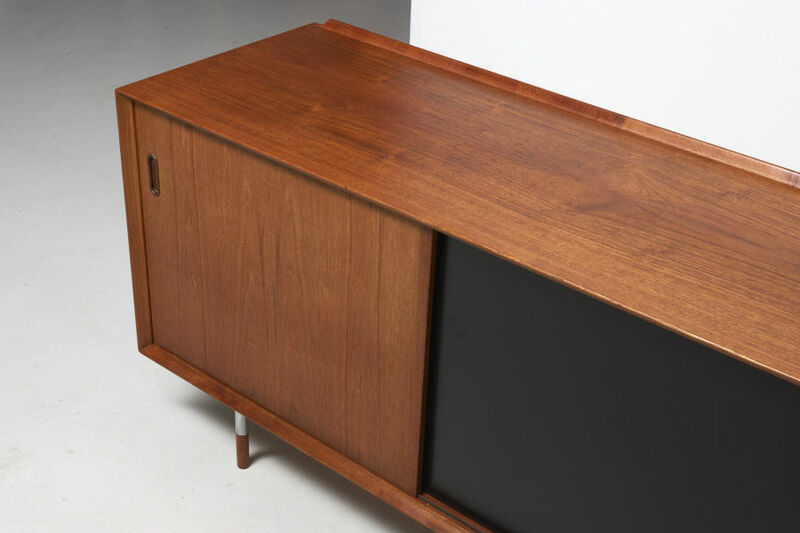 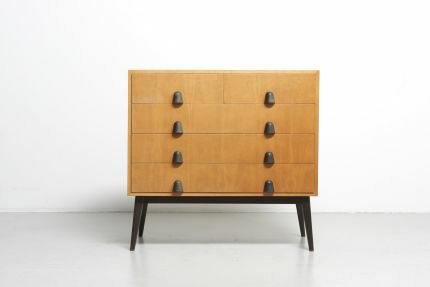 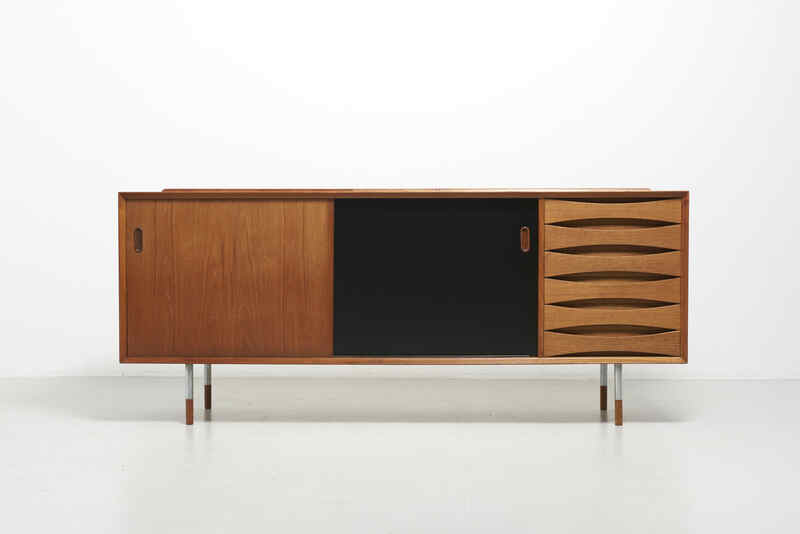 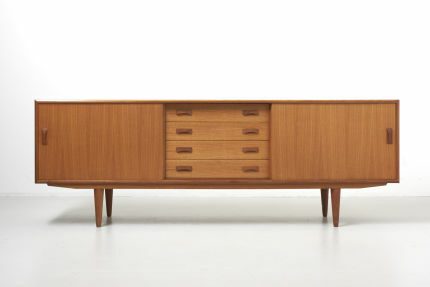 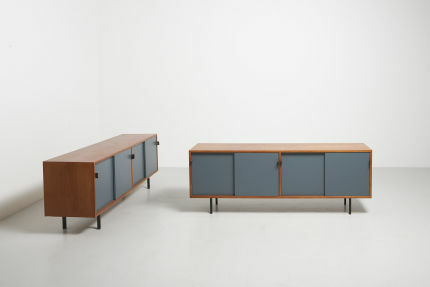 Sideboard in teak with 2 reversible sliding doors (black or teak), designed by Arne Vodder for Sibast Furniture. 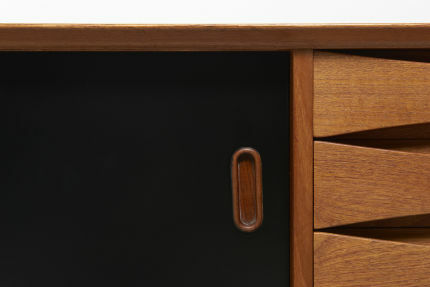 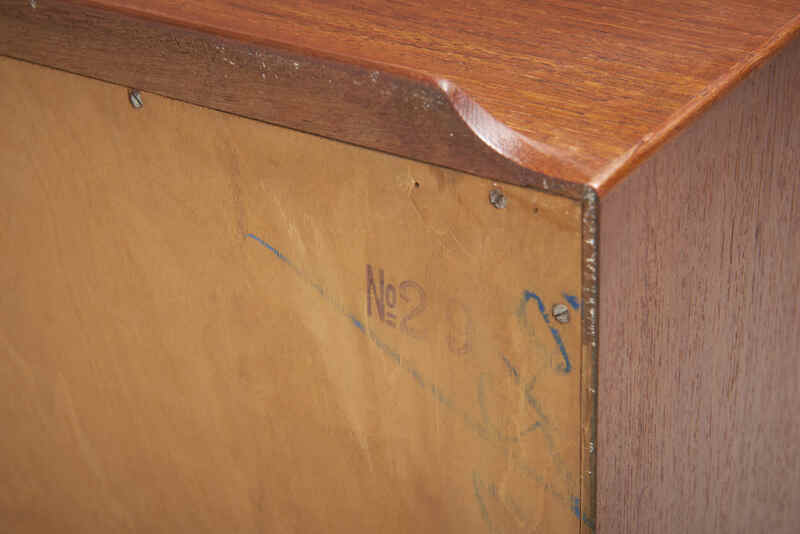 Features the typical raised edge and curved drawers, both a signature of the designer. 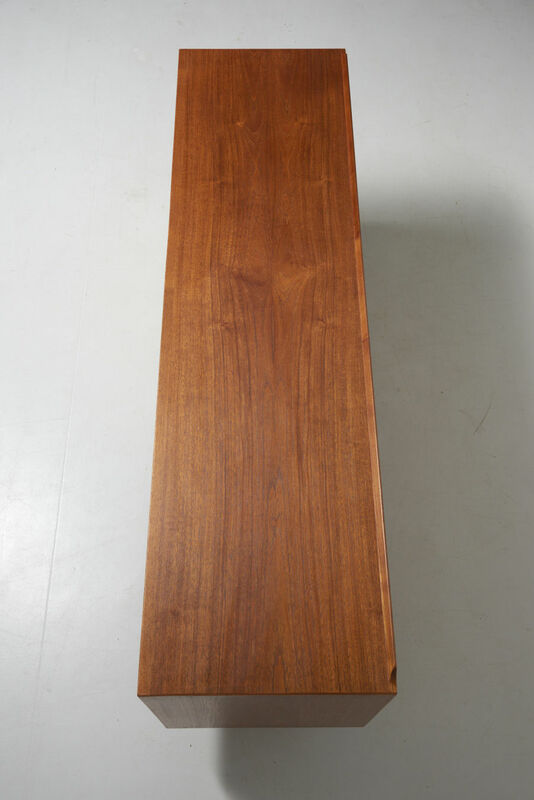 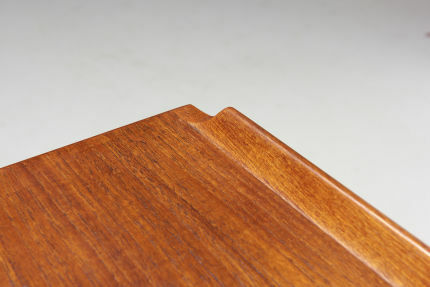 Rare edition with steel legs with teak endings.